LONDON, 19 March 2019 – Action Against Hunger has learned with deep sadness about the killing of one of its Yemeni colleagues in Hodeidah last night. The agency condemns in the strongest terms the killing of its staff, and the violence impacting the lives of innocent civilians every day. On March 18, at 4pm (GMT), clashes and shelling were reported in and around Hodeidah city. Action Against Hunger staff member, Aamnah, a hygiene promotor, was on the roof of her house with her sister when shrapnel struck them both. Aamnah was killed instantly and her sister was severely injured. Aamnah worked with Action Against Hunger from 2016 to 2017 in a diarrhoea treatment centre. She then joined the agency as hygiene promoter in May 2018. The sessions Aamnah led were focused on educating people about the risks of waterborne diseases and how to prevent transmission. Aamnah was an esteemed and hardworking colleague, fully dedicated to supporting the most vulnerable people in Yemen's war. “Today we learned with deep sadness about the killing of Aamnah. She was an example of dedication and passion within the organisation. 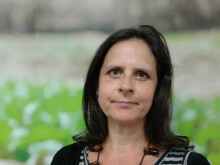 Our hearts and thoughts are with her family, friends and our colleagues in Yemen,” said Véronique Andrieux, executive director at Action Against Hunger. The agency’s office in Hodeidah will remain closed for the next two days as a mark of respect for Aamnah and her family, and to assess the ongoing security situation. In Hodeidah governorate, 21 health facilities are supported by Action Against Hunger to treat acute malnutrition. Additionally, the agency is running the main diarrhoea treatment centre in the city of Hodeidah, as well as helping to supply safe water. “This tragic event shows that the situation in Yemen is far from being stabilised, and violence continues to kill and maim innocent civilians every day. It is critical that all parties to the conflict fulfil the commitments of the ceasefire agreement, including the immediate cessation of hostilities and the protection of all civilians,” adds Andrieux. Action against Hunger has worked in Yemen since 2012. Programme locations include Lahj and Abyan in the south of the country; Hodeida in the centre; and Hajja in the north. In 2018, Action Against Hunger treated more than 30,000 people across Yemen for acute malnutrition and completed hygiene promotion programmes for more than 500,000 beneficiaries. In Yemen, Action against Hunger works with 292 staff across the country.